Sam got a big surprise in Chicago: a huge tube filled with 70 cars. he got to work right away unpacking and sorting them by color. 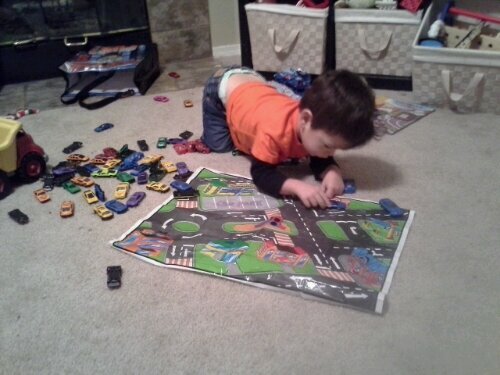 He loves playing with his “grandma cars”. I think they are great, too. I like all the sitting and counting that goes on with them. @munra That is just fine! We are a “set”, and we don’t mind being interchangeable.